Samsung Electro - Mechanics has developed a micro-fuel cell and hydrogen generator that runs on water, writes the Chosun Ilbo. Oh Yong-soo, vice president of Samsung Electro-Mechanics' research centre, who said that when the handset is turned on, metal and water in the phone react to produce hydrogen gas. The gas is then supplied to the fuel cell where it reacts with oxygen in the air to generate power. Other fuel cells need methanol to produce hydrogen, while Samsung's needs only water. Since the micro-fuel cell can generate up to three watts of electricity, it could be used in mobile devices. The new fuel cell could power a handset for ten hours, twice as long as rechargeable batteries. 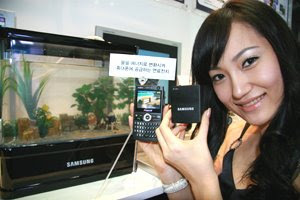 Oh Yong-soo said water-powered handsets are expected to hit the market by 2010. In 2010 your mobile phone may be powered by water. Samsung Electro-Mechanics announced that it has developed a micro-fuel cell and hydrogen generator that runs on H20. "When the handset is turned on, metal and water in the phone react to produce hydrogen gas," explained Oh Yong-soo, vice president of Samsung Electro-Mechanics' research center. "The gas is then supplied to the fuel cell where it reacts with oxygen in the air to generate power." Other fuel cells need methanol to produce hydrogen, while Samsung's needs only water. Since the micro-fuel cell can generate up to three watts of electricity, it could be used in mobile devices, the company said. The new fuel cell could power a handset for 10 hours, twice as long as rechargeable batteries. Samsung claims this type of battery could last up to 10 hours and by Samsung’s usage calculations would have to be replaced every five days. Its next development would be a water based power system that doesn’t rely on the hydrogen cartridge. Oh said water-powered handsets are expected to hit the market by 2010. "If the user uses the phone for four hours a day on average, they would have to change the hydrogen cartridge about every five days," Oh said. "Later handsets will be developed that don't need the hydrogen cartridges to be changed, and would only need to be filled with water." Tokyo, April 22, 2008 – Sony Computer Entertainment Inc. (SCEI) announced today that it will expand the Closed Beta testing for PLAYSTATION®Home in Summer 2008, inviting a further number of registrants from the PLAYSTATION®3 (PS3®) users. Following completion of the Expanded Closed Beta test, the PLAYSTATION Home Open Beta service will commence in Fall 2008. The PLAYSTATION Home Open Beta service that will become available in Fall 2008 will be built around providing new and fun community gaming experiences. Details of the Closed Beta testing features, registration for the test and the opening of the service will be announced as they become available. PLAYSTATION®Home is the visual representation of the PlayStation® community. It is an evolving online social gaming service built for PS3® users to meet and share gaming experiences. Recognized as the global leader and company responsible for the progression of consumer-based computer entertainment, Sony Computer Entertainment Inc. (SCEI) manufacturers, distributes and markets the PlayStation® game console, the PlayStation®2 computer entertainment system, the PSP® (PlayStation®Portable) handheld entertainment system and the PLAYSTATION®3 (PS3®) system. PlayStation has revolutionized home entertainment by introducing advanced 3D graphic processing, and PlayStation 2 further enhances the PlayStation legacy as the core of home networked entertainment. PSP is a new handheld entertainment system that allows users to enjoy 3D games, with high-quality full-motion video, and high-fidelity stereo audio. 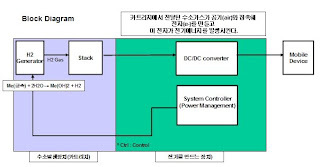 PS3 is an advanced computer system, incorporating the state-of-the-art Cell processor with super computer like power. SCEI, along with its subsidiary divisions Sony Computer Entertainment America Inc., Sony Computer Entertainment Europe Ltd., and Sony Computer Entertainment Korea Inc. develops, publishes, markets and distributes software, and manages the third party licensing programs for these platforms in the respective markets worldwide. Headquartered in Tokyo, Japan, Sony Computer Entertainment Inc. is an independent business unit of the Sony Group. SCOTTS VALLEY, Calif.-April 22, 2008 - Seagate Technology (NYSE:STX) announced today that it is the first hard drive manufacturer worldwide to have shipped 1 billion hard drives – a number not only staggering in size but also emblematic of the massive amount of digital content being created in the home, hand, office, car and dozens of other markets. Consider this: the 1 billion hard drives Seagate has delivered equates to approximately 79 million terabytes, able to store 158 billion hours of digital video or 1.2 trillion hours of your favorite music – and Seagate hard drives and storage solutions enable people to create, share, enjoy and protect more digital content every day. As further testimony to its market leadership and the central role storage solutions play in the digital world today, Seagate projects that although it took 29 years to reach the 1 billion milestone, the company will ship its next billion in less than five years. Also, by the time its nearest competitor reaches 1 billion drives shipped, Seagate will already be close to shipping its second billion. Seagate’s billionth drive milestone comes as hard drive shipments continue to increase dramatically. According to Gartner Group, last year alone more than 500 million drives were shipped, compared to 1990, when slightly less than 30 million were shipped. In 1979, Seagate’s first product, the ST506 hard drive, could store 5 megabytes of data or the equivalent of one MP3 song. The drive weighed about five pounds and cost $1,500, or $300 per megabyte. Today, a typical Seagate hard drive offers a terabyte of data (or 1 million megabytes), which has enough capacity to record 32 days of high-definition video around the clock – at a cost of 1/5000th of a cent ($0.00022) per megabyte. The rapid growth of digital content continues to come from a wide range of sources. For example, analysts estimate that there are over one billion digital still and phone cameras in the world and that those devices accounted for 250 billion created images in 2006. It is predicted that user-generated content sites (like Flickr and YouTube) will produce 65 billion downloads/views by 2010. Seagate is the worldwide leader in the design, manufacture and marketing of hard disc drives and storage solutions, providing products for a wide-range of applications, including Enterprise, Desktop, Mobile Computing, Consumer Electronics and Branded Solutions. Seagate’s business model leverages technology leadership and world-class manufacturing to deliver industry-leading innovation and quality to its global customers, with the goal of being the time-to-market leader in all markets in which it participates. The company is committed to providing award-winning products, customer support and reliability to meet the world’s growing demand for information storage. Seagate can be found around the globe and at http://www.seagate.com.